The weeks are flying by here, and I'm having so much fun decorating our home for Christmas! 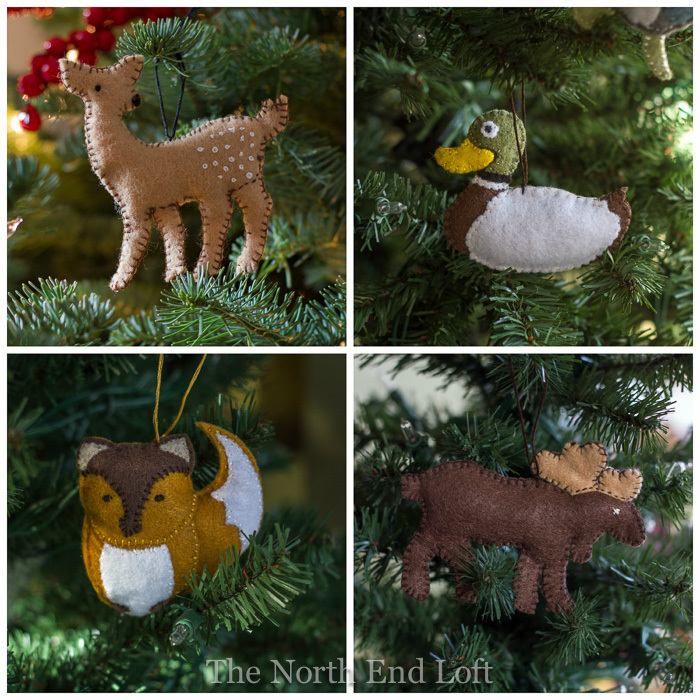 Today, I'm taking a short break from my craft room to share a few more ornaments I made for this year's woodland theme. 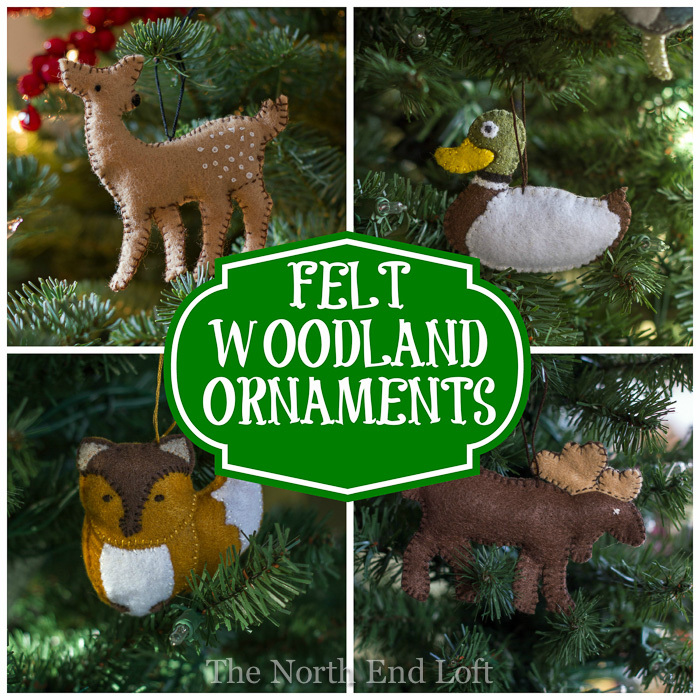 First up are my felt woodland ornaments. 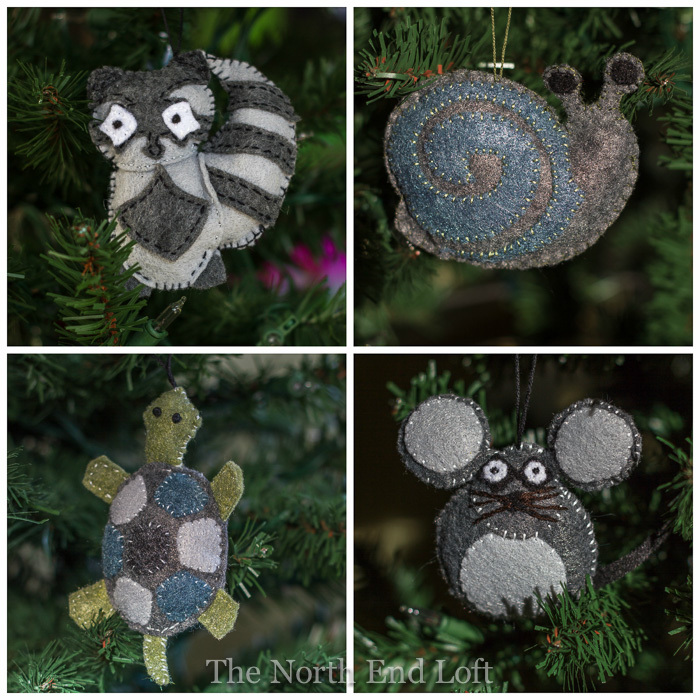 I started making these ornaments last January based on patterns and directions I downloaded each month from Creative Cain Cabin and Mockingbird Hill Cottage. Each ornament only took one evening to sew while sitting in front of the television watching my favorite shows. I think they turned out really cute, even though I started with no embroidery skills at all. You can download and print all these patterns (and more) here. A big thank you to Dawn and Claudia for sharing this fun project! When my husband brought home a really huge Christmas tree last week, I scrambled to find some last minute quick and easy ornament ideas on my Pinterest boards to help me fill it up. 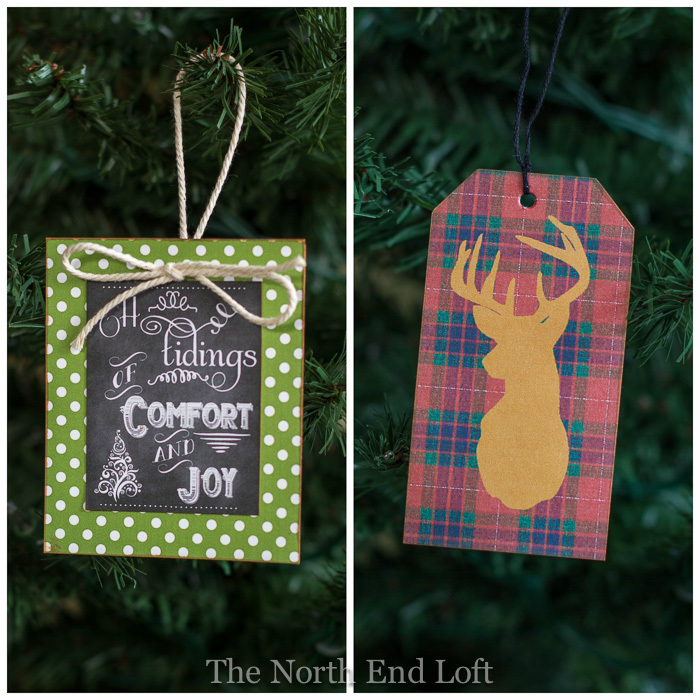 The ornament on the left I made from a tutorial shared by Pam and Lisa at Over The Big Moon and from a free chalkboard printable from Kellie at Nest Of Posies. The ornament on the right I designed and created in my photo software program using some fabulous free tartan digital scrapbook paper from Scrapbook Scrapbook and a beautiful deer head silhouette from Kristi and Kelli at Lolly Jane. Thank you to all these super creative bloggers who inspired my cute new ornaments. They were so fun to make, and they look wonderful on our Christmas tree this year. going on in people's homes for the holidays. all of your readers, including me! Now I'm off to work on one of the million ideas I've been inspired to create this year for my own home, and if I'm lucky (and grow some twinkle toes) I'll get it all done in time to share with you before Christmas! Such adorable ornaments!! But no BSU ones?!?! 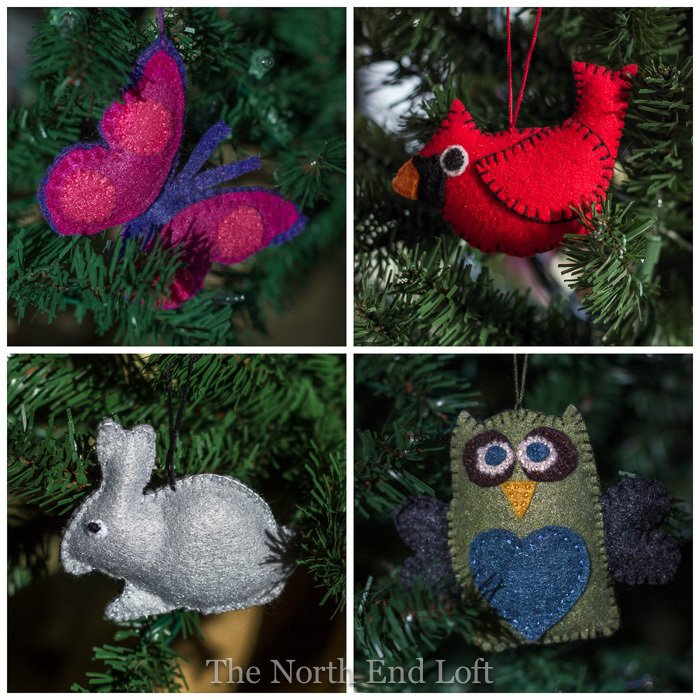 I love things made with felt and your ornaments are just too cute! I bet your tree is looking so festive! Awwww, your so sweet Laurel! i enjoy looking at all the holiday homes too! 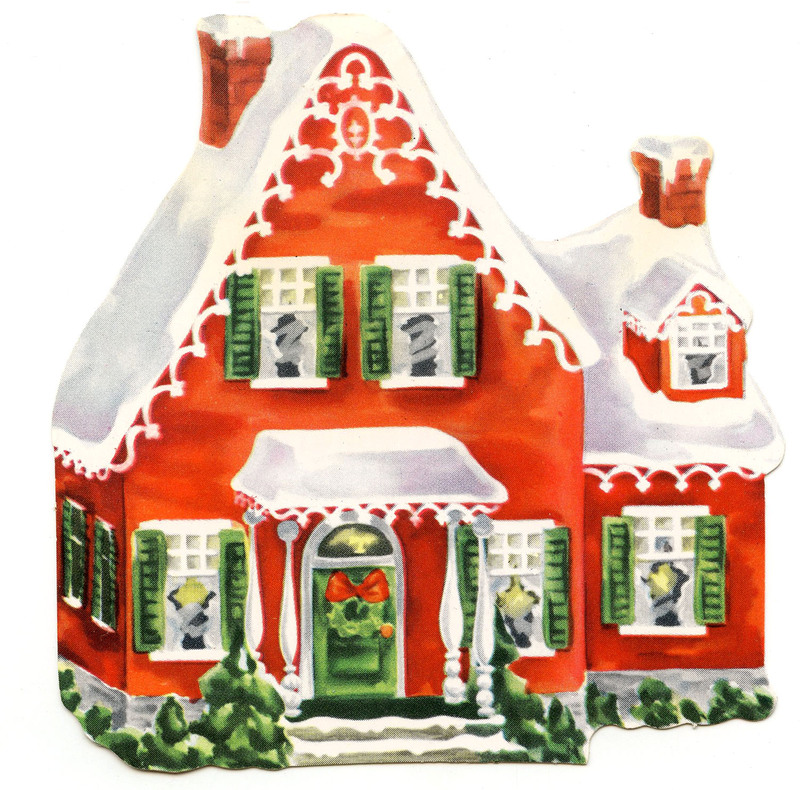 With this being the busiest time of year, posting about their homes is truly remarkable! And of course, your one of those amazing women!!! Seriously, you could sell these and we would buy! In love with your felt ornaments the most esp. the raccoon!!!! The details are just superb, I wanna do woodland someday, but making my own ornaments won't be anywhere in my near future. 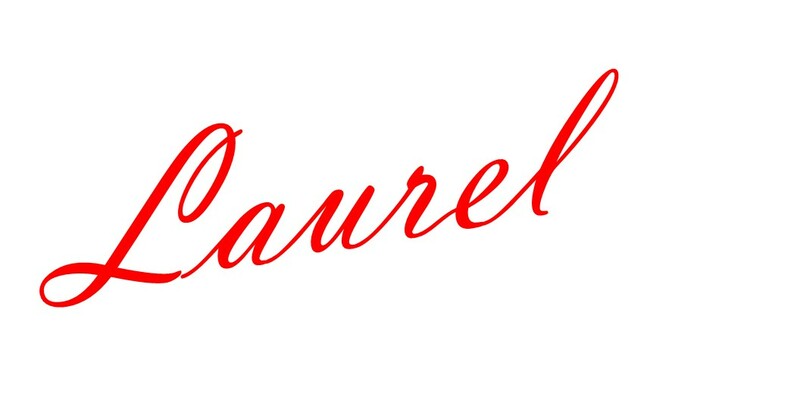 Hi Laurel, love your darling ornaments. They are just to adorable and perfect on the tree. You did a wonderful job and your work is incredible. Thanks for sharing this inspiration. Wow Laurel, you are so talented! I cannot sew AT ALL! I am pathetic! Love your ornaments and you are so inspiring! I always enjoy visiting your blog!